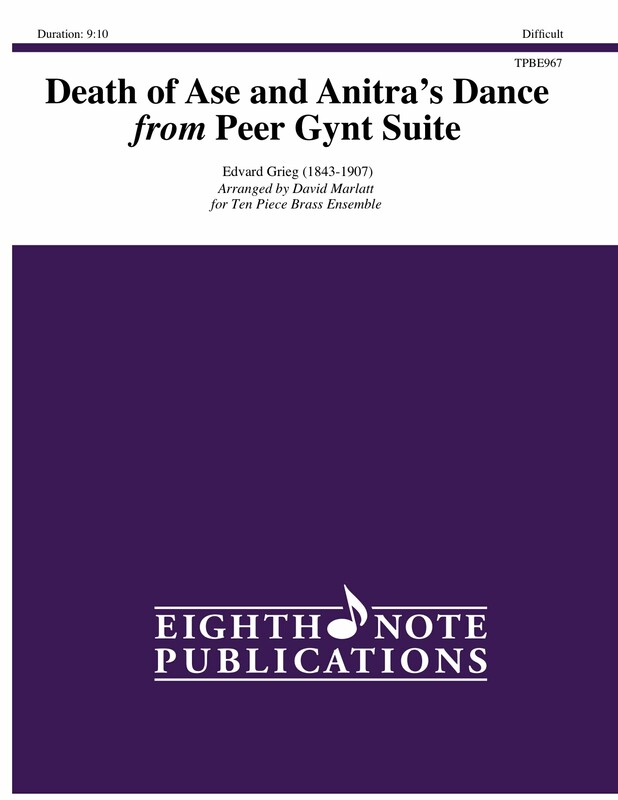 The Death of Ase is a sombre death song that features the euphonium, horn and flugelhorn with the tuba and piccolo trumpet colouring at the octave. Anitras Dance is a playful melody that is found mainly in the second trumpet part. Using a combination of cup and straight mutes, this piece is colourful and rhythmically interesting.